A simplistic mani today. 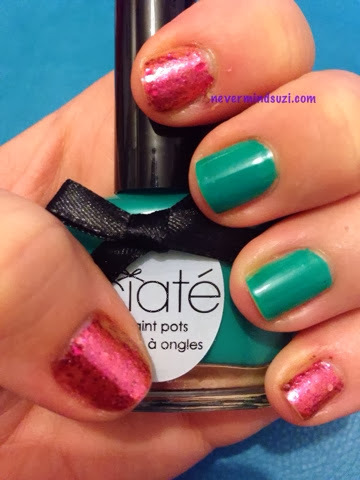 I just really wanted to see what happened when I paired these 2 fab polishes. Love Letters - a dense glitter with flakie style glitters that are a lovely pink and gold duochrome. This is 3 coats. Ditch the Heels - an intense green creme, that's it. No bells and whistles just a good auld stunning creme! Do you like mixing finishes?